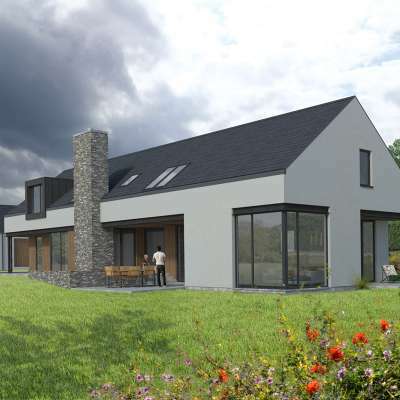 Drumhurt is a proposal for a new build family home in rural Co. Cavan designed to meet the brief of a young family. As architects, we sought to create a contemporary dwelling that is appropriately scaled to harmonise with the landscape. 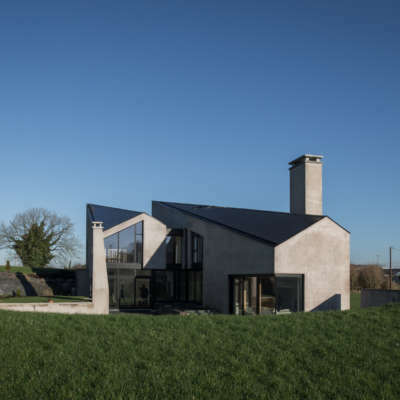 The design takes inspiration from rural architecture of Co. Cavan, a working agricultural landscape dotted with vernacular farmsteads. The house is broken into a series of individual blocks orientated to take advantage of the sun path and the views over the countryside. 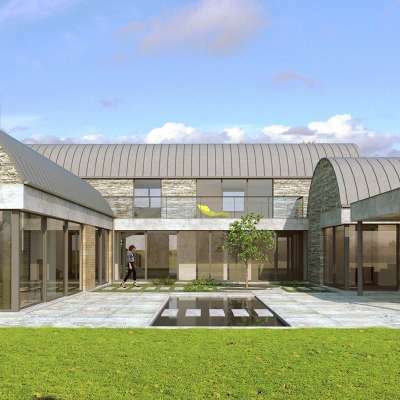 This also creates a sheltered courtyard to the rear where the family can enjoy life outdoors. By opening up the large sliding glazed screens, kitchen, living and dining spaces all open directly to this courtyard. 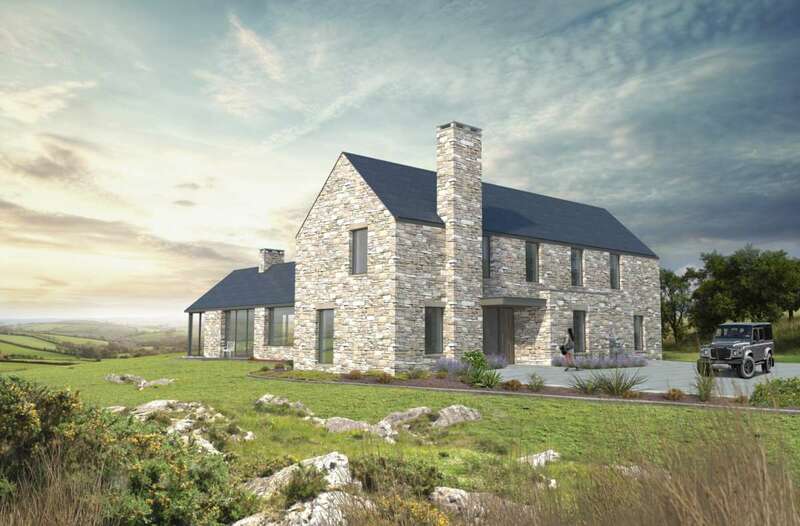 The house is on an elevated site, the heavy stone walls give protection against severe weather. 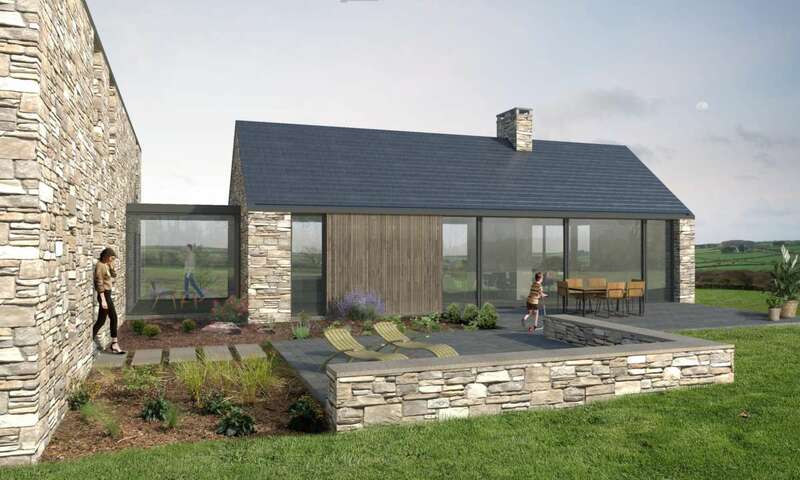 Window cills and lintels are also made from rough cut stone, with a natural slate roof finish.Burnt cedar is also used to contrast with the natural stone.